Dimlite is the main alias of musician/producer Dimitri Grimm, originally from a tiny village somewhere in Switzerland. After releasing a first EP («A/DD», 2003) and two albums («Runbox Weathers», 2005 & «This Is Embracing», 2006) on the Berlin-based label Sonar Kollektiv and additional records under other outlets The Slapped Eyeballers (a pop-rock-ish duo w/ Balt Mirczok) or Misel Quitno (a more tripped out lo-fi moniker, dedicated to 1/4-inch tape and an imaginary 60’s-sound), Dimlite is currently playing shows throughout Europe and simultaneously working on his forthcoming records on Egon’s recordlabel Now Again. 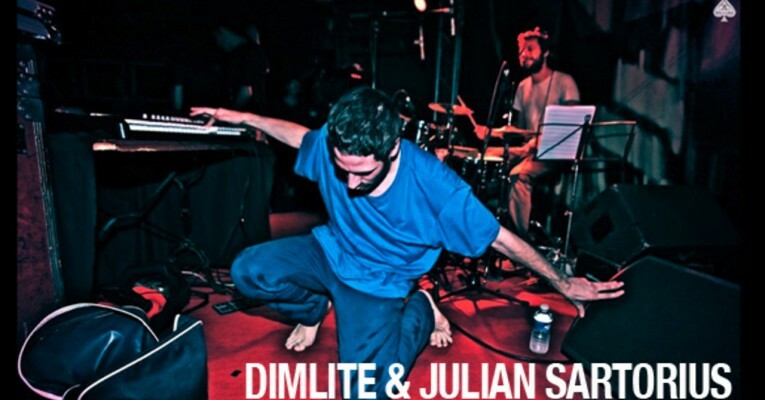 The beat is the defining element in the life of Julian Sartorius. Born 1981 in Thun (Switzerland), he began his first drum lessons at the age of five and followed his passion via marches, Michael Jackson and as a member of local underground bands. With his rhythms, which push the boundaries of New Music, Hip-Hop and World Music, Sartorius reveals the endless possibilities and range of his instrument. He often prepares his drums, works with unusual, unprocessed acoustic sounds and develops, beat by beat, an unheard environment of sound. Julian Sartorius was taught by musicians such as Fabian Kuratli, Pierre Favre and Norbert Pfammatter at the Jazz Schools in Bern and Lucerne. He has collaborated with Sophie Hunger, Colin Vallon, Dimlite, Merz, Jürg Halter and Rhys Chatham, and has toured throughout Europe, South America, Canada and the US.